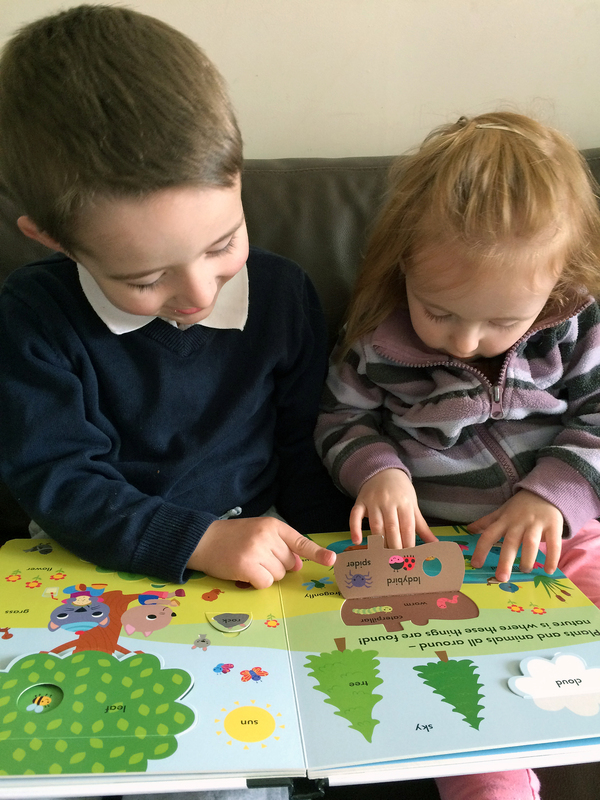 Josh and Kate love reading, they were lucky enough to be sent a copy of Finding First Words and More! (My Little World) from Toppsta to review. 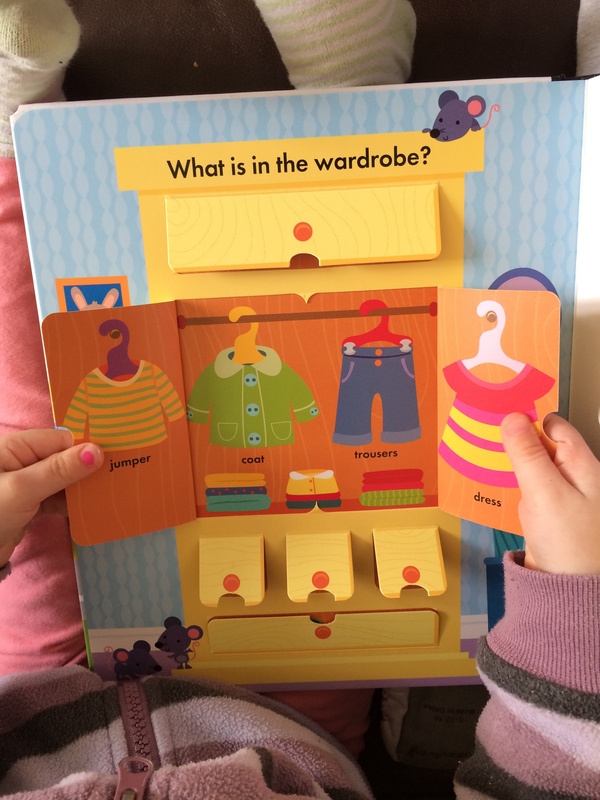 Its a wonderfully illustrated book and kept both their attention, the flaps are a nice feature and encourage more interaction. We enjoyed discussing the pictures and guessing what could be under the flap. 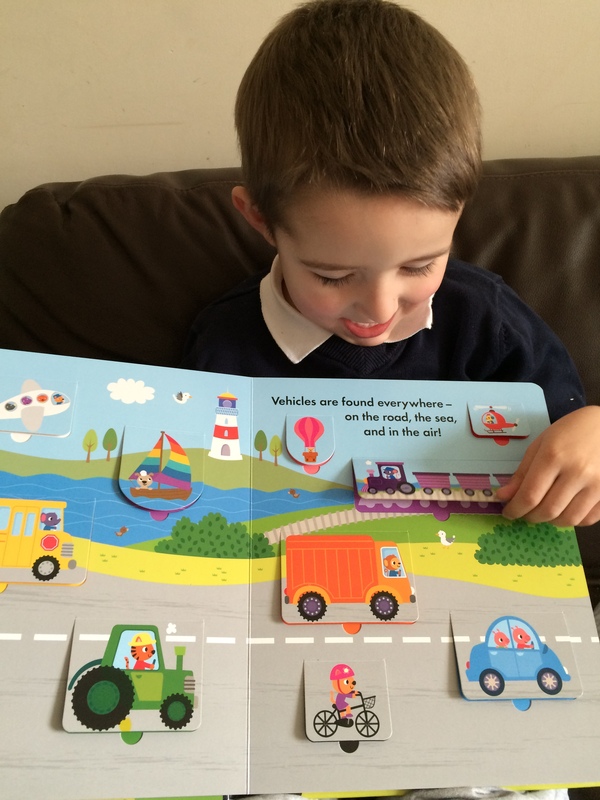 Josh’s favourite page was the vehicles and transportation, under each flap it has a colour and the vehicle name. Kate loved the wardrobe page. The flaps are quite strong and I’m quite certain this book will survive to be passed onto Megan and will be one of her favourites as well. This book would make a great gift for a 2 year old.